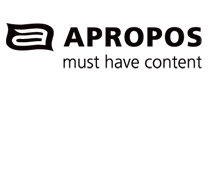 Andres is the Founder & Creative Director at Apropos. He also serves as a Director with Harbinger Foundation in Toronto. Born and raised in Colombia, he has lived in Mexico, Brazil, the United States, Canada, UK and now lives in Barcelona with his Canadian wife and their two children. Andres is a graduate of the School of International Affairs of Columbia University. I am in the process of funding my feature film, I have several named actors on board and I am looking for investors. Nicholas Lyndhurst’s agent has shown interest so we’re extremely excited. We’re looking for £150K through an SEIS scheme. Please do let me know if you would like to see a business plan. It’s a romantic comedy, currently named ‘Indie Film’, that shines a spotlight on how tough the entertainment industry is when starting off, from an acting standpoint and a filmmaking one. The aim is to rejuvenate the rom-com genre, bring it back to a more realistic standpoint. I’ve feel that many rom-coms this day and age rely too much on the cliches that have worked so well in the past and drop the ball with what’s truly important, which is the story and character development in-between those fantastic moments. The comedic style is similar to ‘The Big Sick’ that recently came out in theatres and I truly believe this film can go further than that film. ‘The Big Sick’ is the most successful indie comedy and 2nd most successful indie film in general of 2017. Just like our ‘Indie Film’, it is a romantic comedy that highlights the entertainment industry. ‘The Big Sick’ has garnered over $43,000,000 in revenue to date and as you know because of your involvement with comedy’s such as Down Dog, comedy is the second most commonly produced genre in the world. The only difference is that I want to make this romantic comedy film a strong film in itself. A ‘good film’, not a ‘good rom-com’. Rom-com genre is not a limitation by any means and I’m very excited to get the ball rolling and prove it. If you have any more questions please do feel free to contact me at richard@cruciblefilms.com and I’d be happy to provide all the information or documents that you’d be interested in seeing. Thanks Richard and all the best in your project! Thank you Adussan, appreciate it!